Harris Sulaiman (YES’15) with the help of other alumni, Benjamin Abubakar and Johnson Badawi (YES ’11), Abdul Jamee Canda (YES ’12), Jeahan Haron and Abdulcader Alsoufi (YES ’10), Yasser Ali Untong (YES ’13), Ryanne Pasawilan (YES ’16) organized an event in-line with the celebration of World AIDS Day, entitled: Project HIVBeSt: Beating the Stigma, that aims to educate the people on the prevalence of HIV/AIDS through arts and sociocultural activities. 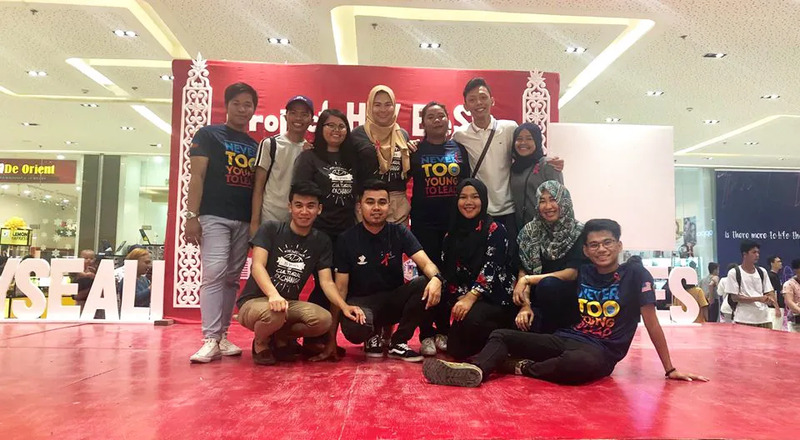 The Project HIVBeSt: Beating Stigma, held at the Activity Area of City Mall, Cotabato City, Maguindanao on December 29, 2018, is one of the changemaking projects created by YES alumni Philippines during the YES 15th Anniversary, funded by U.S. Embassy in Manila and UNO YSEALI. (Youth Southeast Asian Leaders Initiative at University of Nebraska at Omaha (YSEALI UNO) is an educational and cultural exchange program that builds the leadership capabilities of youth is ASEAN region.) This event was also in cooperation with the Office on Health Services-Cotabato City and Gallant Adolescent New Generation (G.A.N.G), an adolescent serving organization committed empowering adolescent for positive behaviour changes, advocating for their human rights and providing education on adolescent health, who provided free HIV testing and counselling to the 118 non-alumni attendees, composed of young professionals, in-school and out-of school youth. Morning activities also included poster and slogan making contests where the attendees were given a creative platform to spread the message of hope and awareness through arts. In the afternoon, an estimated 500 spectators enjoyed the sociocultural activities and witnessed the thematic performances of spoken word poetry artists in the city and the crowning of the Project HIVBeSt: HIV Ambassador. The poster and slogan making and spoken word poetry contests are open to all in-school youth (ISY) and out-of-school youth (OSY) ages 15-25 residing in Cotabato City. On the other hand, Project HIVBeSt: HIV Ambassador, which is a thematic pageant open to all gay, bisexual, transgender, and queer residing in Cotabato City, was recognized as a platform to all LGBTQ members to share their advocacy and bright ideas on how to mitigate problems and beat the stigma on HIV/AIDS.